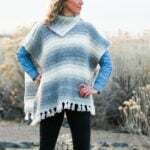 In this crochet poncho video tutorial, we’ll learn how to make the free Alpine Poncho pattern. This video is very beginner-friendly and covers all the techniques you’ll need step-by-step. Follow along with the written free Alpine Poncho pattern or purchase the ad-free, printable PDF with stitch charts. 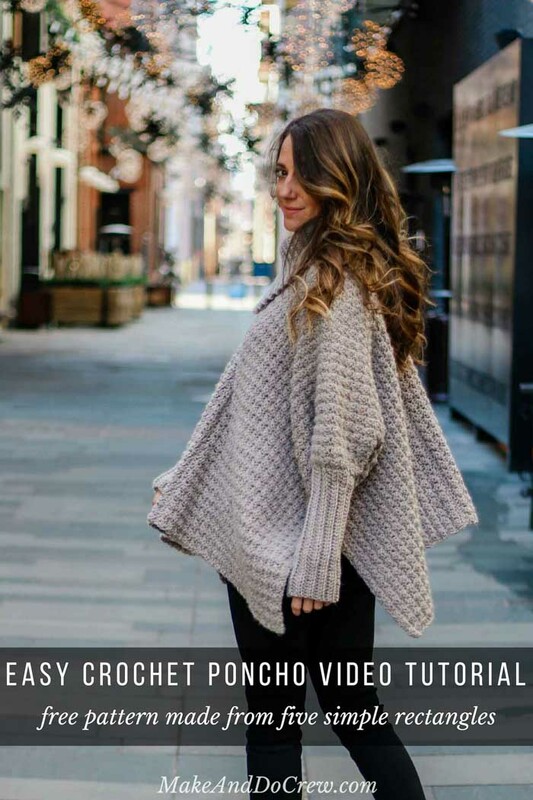 This crochet poncho video tutorial is part of a collaboration with Lion Brand Yarn. This post contains affiliate links. Read on for more details about this pattern and crochet poncho video tutorial or scroll down to dive into the lesson. As I mentioned in the Alpine Poncho pattern, I really wanted this project to be approachable for beginners who are ready to move beyond scarves and blankets. 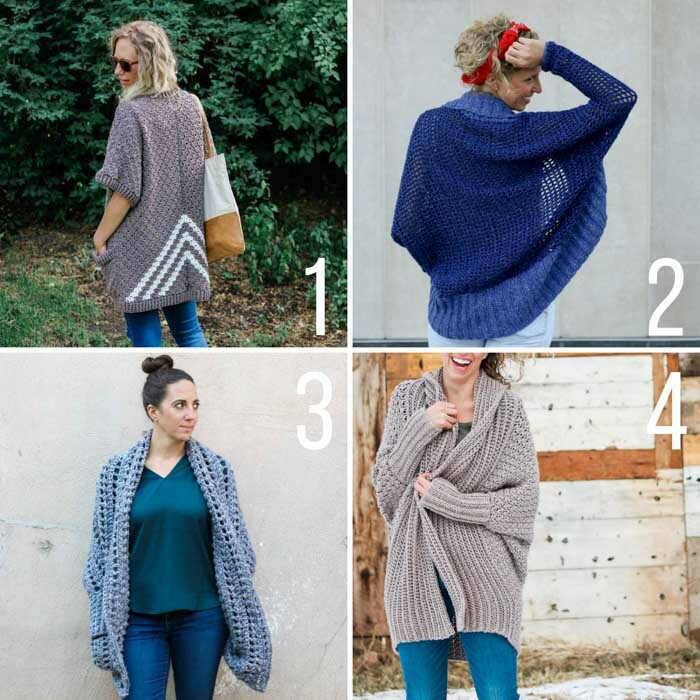 Because this crochet poncho pattern is made from five basic rectangles, it’s truly is as simple as making a bunch of scarves and wrapping them around your body in a fashionable way. Ha, sounds easy, right?! 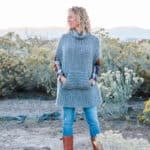 In this video tutorial, I cover each step of how to crochet this poncho sweater, including how to make the main rectangles, how to crochet the sleeves and collar using half double crochet through the back loop only, and lastly, how to easily seam it all together. You can order your kit here! 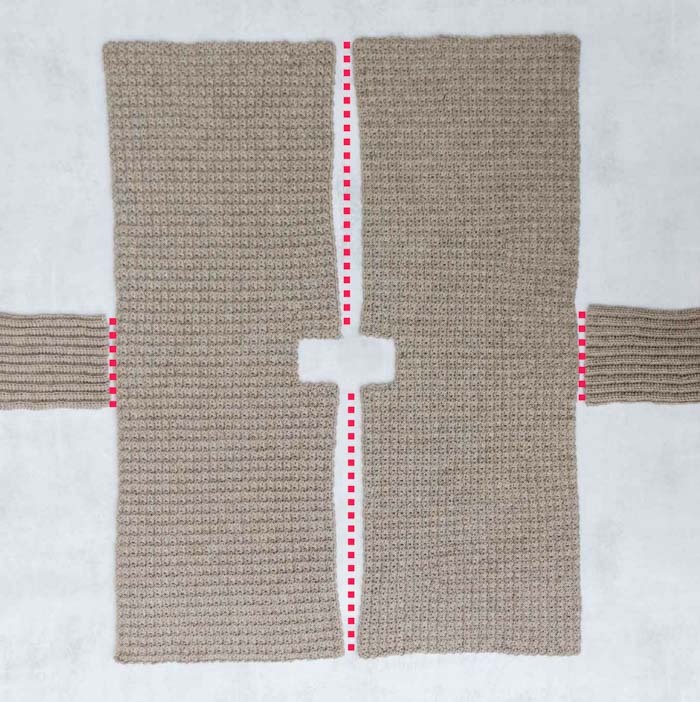 Making beginner-friendly crochet sweater patterns from very basic shapes is one of my favorite challenges as a designer. 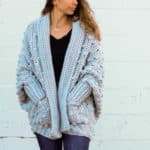 These are a few of the most loved free sweater patterns on Make & Do Crew that all use simple shapes and techniques to make something fantastic. Below, you’ll find the full step-by-step video tutorial. NOTE: Video is not viewable when an ad-blocker is installed on your browser. Turn of ad-blocker and reload page if video isn’t appearing. 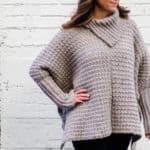 If crochet ponchos are your thing, here are more free patterns you might enjoy! 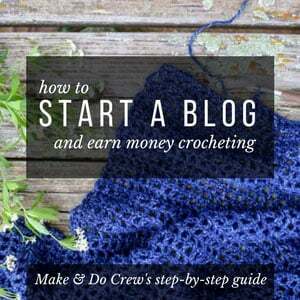 You can always peruse our collection of free crochet patterns here too. Your videos are so helpful since I’m such a visual crocheter! Thank you. This poncho is beautiful!!! I’m so glad you find them useful. I’m a visual learner too and having a video and a stitch chart is always invaluable for me. One thing I have never been able to figure out is how to tell the “right” side from the “wrong” side of a crocheted fabric. When crocheting rows, it is done back and forth (which is flipping from front to back.) Can you help me recognize the wrong side of a completed panel? It depends on the fabric (or which stitch you’re using). 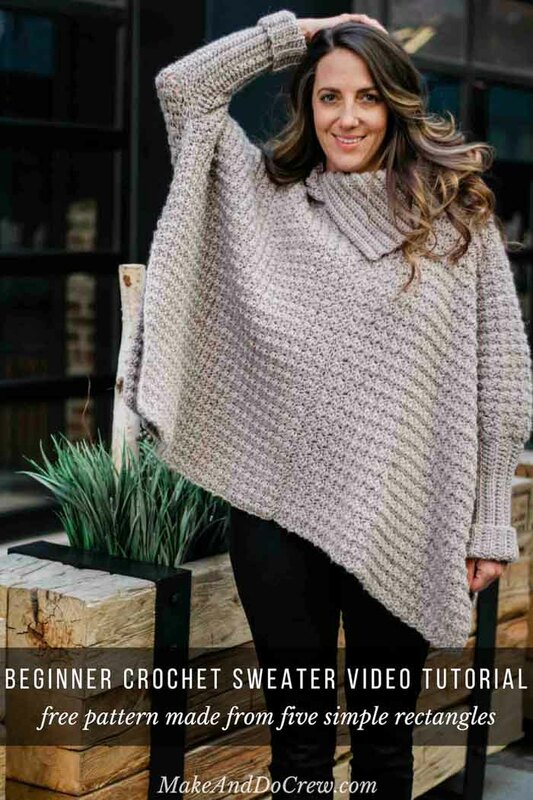 In the case of this poncho, there’s no right or wrong side with this stitch, so it’s okay to just choose the side you like the look of better. Yay! I love hearing that, Deb! Great video I ‘m excited to get started! I’m a visual person so this will be of great help! Good explanation Thank you and God bless!